Add a funky and unique piece to your home with this wine rack. 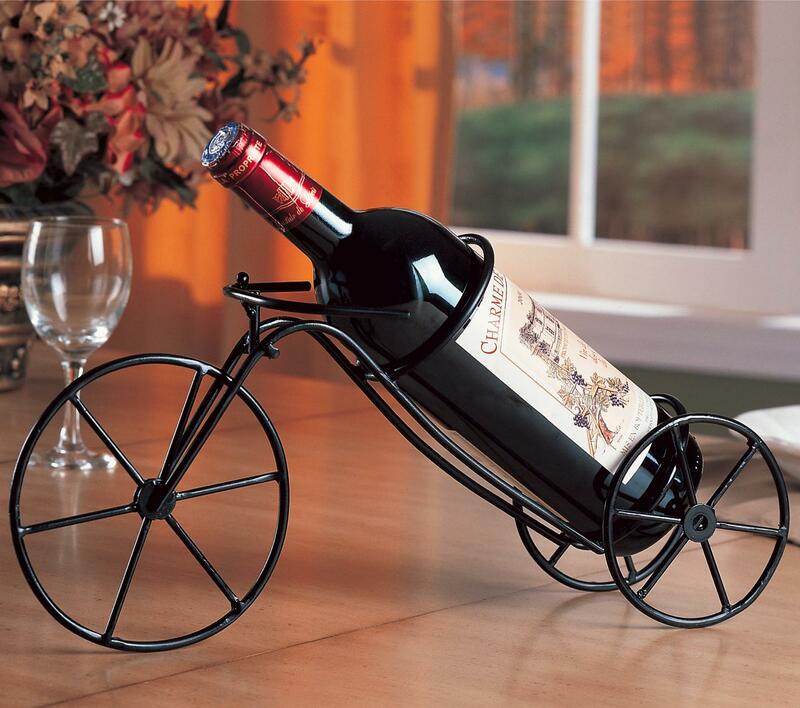 Shaped like a bicycle, this wine rack is sure to draw attention and start conversation with all your guests! It is finished in a deep black to easily match with existing decor. This wine rack holds one bottle - perfect for showing off your favorite or most beloved wine. The Accent Racks Black Bicycle Wine Rack by Coaster at Al-Mart Furniture in the Oak Park, River Forest, Chicago, Elmwood Park, Forest Park, River Grove, Maywood, Melrose Park, Berwyn, Cicero, North Riverside, Brookfield, Lagrange Park, Franklin Park, Norridge, Oakbrook, Elmhurst, Bensenville, Lyons, Stickney, Harwood Heights, IL area. Product availability may vary. Contact us for the most current availability on this product.